Nothing like a good book to enjoy before bedtime. 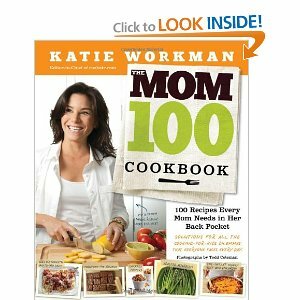 From the first moment I started reading THE MOM 100 COOKBOOK I loved it is written in a way so incredible that it’s like reading a comedy. It is completely refreshing and unlike any other cookbook I had read before and it led to us mothers without forgetting the rest of the family of course. In addition content of delicious recipes, you’ll also find suggestions and tips to make life easier. These cupcakes are part Katie Workman cookbook as option 2 to Birthday Chocolate Cake. Line 24 medium-size cupcake cups with paper liner (you’ll need two cupcake pans with 12 cups each). Fill each cupcake cup liner about two thirds full with the chocolate cake batter. Bake the cupcakes until a toothpick or wooden skewer inserted in the center comes out clean, 22 to 24 minutes. Let the cupcakes cool in the pans on wire racks for 10 minutes, them carefully remove them from the pans, arrange them upright on wire racks, and let them cool completely before frosting. You can also enjoy more recipes thanks to this amazing family of foodies. Join us this week! We’ll share these fabulous recipes and want you to share yours with us! The fun starts at 3pm EST and lasts all afternoon until dinner time and sometimes beyond. All you have to do is follow the hashtag #sundaysupper on twitter or follow along on TweetChat. Our #SundaySupper Pinterest Board will be filled with wonderful Simple and Fresh Summer Recipes. There is always room Around the Family Table for you. 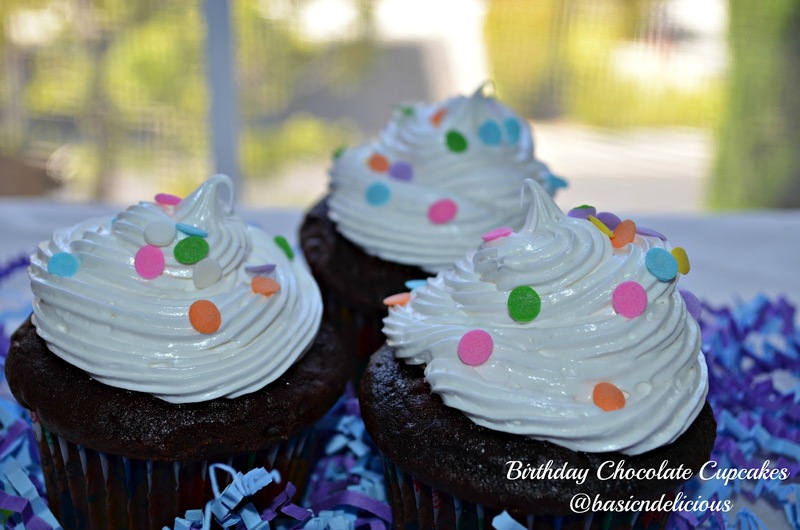 This entry was posted in #SundaySupper and tagged birthday, chocolate, cupcakes by Kathia Rodriguez. Bookmark the permalink.